Popular mobile wallet PhonePe has now released a POS that works offline for its merchant partners. The offline POS looks and functions like an old and chunky calculator, giving it a retro look and feel. While this is an easy approach to using mobile wallets, PhonePe will be piloting the device starting in Bengaluru. 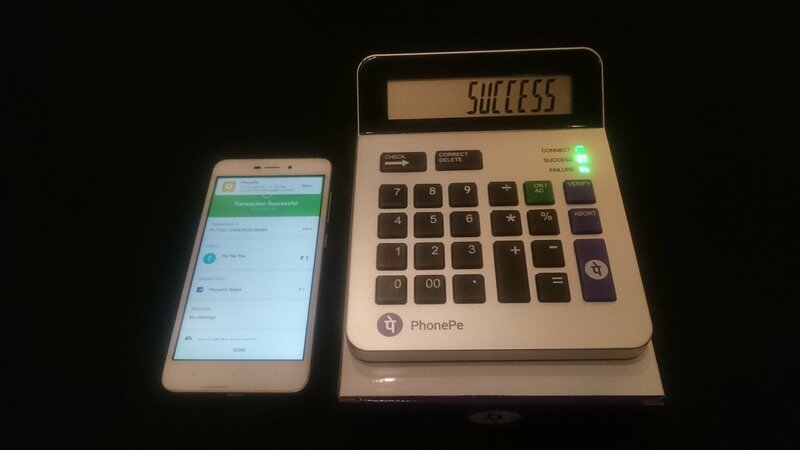 The PhonePe POS does not require an internet connection on the merchant’s end. It will connect to the PhonePe app on your Android or iOS smartphone and complete the payment from there. Also, this POS accepts UPI as a mode of payment. With merchants who are still struggling with upgrading to online transaction methods, this will be an easy approach. The PhonePe POS looks like a calculator and works on AA batteries. PhonePe will give this to their merchant partners for free against a nominal security deposit. Since it works without internet on the merchant’s end, it will use Bluetooth to connect to your smartphone and complete transactions. The merchant just has to type in the amount chargeable and press the purple button with PhonePe logo. The POS will then pair with the customer’s phone using Bluetooth and allow them to choose a payment mode. Not only this, the display on the PhonePe POS allows it to tell you whether the transaction was a success or not. PhonePe is a mobile wallet application that allows you to make payments using the PhonePe balance, credit/debit card, and UPI. There are QR codes present for the PhonePe app at merchants who accept payment through it. After the introduction of the PhonePe POS, it will be easier for merchants to adapt to digital payment methods without any complicated processes. You can download the PhonePe app for free on the Play Store or App Store. The POS is under pilot testing for Bengaluru and will soon be expanded to other cities.